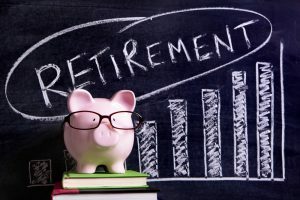 Retirement Account Loans: Do They Make Sense? If you have designated someone to receive the assets inside your retirement account after you pass away and you then take a loan, there are other things to consider before you pull out these funds. If you fail to return the money and pass away in the interim, the loved one you intended to receive those assets will be affected. Furthermore, there are other downsides to pulling money from your 401(k) plan. Keep in mind that for any money you pull out, you’ll pay interest. You cannot deduct the interest paid, and those funds will not appreciate while on the loan. In addition, since you’ll have to repay that loan from your personal paycheck, your cash flow will be affected. Other restrictions and fees can apply based on your employer’s rules. For example, most of these plans only allow you take out one loan at a time. Repayment comes up pretty quickly for anyone who has withdrawn the funds, so it can be dicey as to whether or not you’ll be able to pull out enough money to cover your immediate needs. Don’t forget about tax consequences if you’re unable to pay the loan back, either- this means it’s taxed like ordinary income and a penalty could apply of 10% if you’re younger than 59 1/2. Having a large tax bill could be an even bigger challenge if you were to lose your job and had no way to pay it back. When you take out a loan, don’t forget that you probably allotted your estate at least partially on the current value of those accounts. Awarding your retirement accounts to one child, as an example, could lead to conflicts after you pass away if you pulled funds from that account if the account was worth much less. Make sure you consider all these factors when looking to withdraw funds from an existing retirement account.